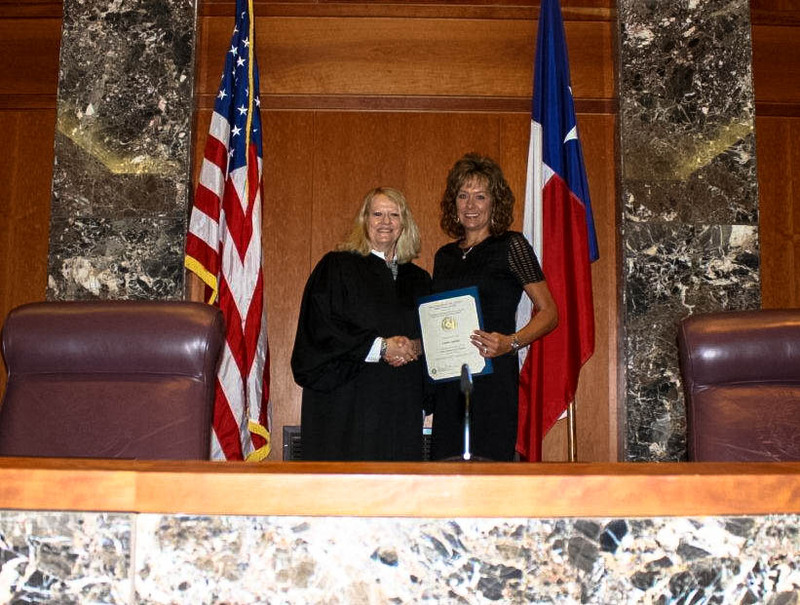 SEGUIN, Texas – The Municipal Court can now boast a certified Court Manager at the helm of the operation. Court Administrator Landra Solanksy recently completed the Court Management Program (CMP) through the Institute of Court Management (ICM). “It was an honor to be one of 45 Texas Court Clerks invited to participate in this program. These classes focused on solutions to problems facing Courts across our Nation. We were taught to devise strategies to align court performance, court structure, court operations and court processes while maintaining the purpose of the court,” said Solansky. ICM is the educational arm of the National Center for State Courts, a nonprofit organization dedicated to improving the administration of justice by providing leadership, research, technology, and education services to state courts. Susan Caddell, Finance Director, oversees operations at the Municipal Court, and is proud of Solansky’s accomplishments. “I am so please that Landra has taken this opportunity to advance in her professional development. This certification will help her to prepare for any new challenges she may face with her career. This also helps her to pass her knowledge to her employees to improve the professionalism of our Court,” said Caddell.